From a legal aid lawyer, to practicing in one of the most prominent and respected hometown law firms in Fort Worth, John has gained considerable experience representing clients in state courts and administrative agencies. Regardless of where he has practiced, John has always had a deep-seated interest in the specific problems that his clients face in some of the darkest times of their lives. John is always prepared to work his hardest to obtain the best results for his clients. 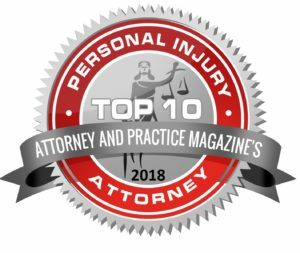 Whether that involves simple negotiation, pre-trial settlement in alternative dispute resolution, or trial, every decision that John makes is driven by his client’s best interests. John’s peers have consistently recognized him for his hard work and dedication to his legal craft. John has been A.V. rated by Martindale-Hubbel as a Preeminent Lawyer – the highest rating that a lawyer can receive – since 2014. 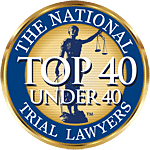 In 2017 and again in 2018, John was named a Rising Star by Superlawyers Magazine, a Thompson Reuters publication. Only 4% of eligible Texas lawyers received this distinction each year. 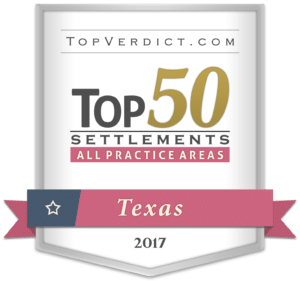 Every year since 2009 he has been recognized by Fort Worth, Texas Magazine as one of the Top Lawyers in Fort Worth. 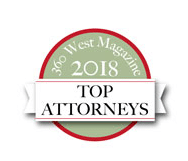 And, in 2017 and 2018 John has also been recognized by 360 West magazine as a Top Attorney in Fort Worth. John has been actively involved in legal organizations at both the local and statewide level and has been elected by his peers to several offices in those organizations in which he is a member. 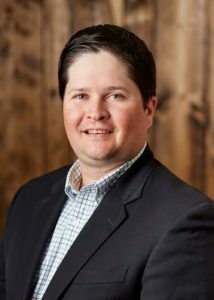 He is a Past-President of the Tarrant County Young Lawyers Association, was a Director and Treasurer of the Texas Young Lawyers Association (TYLA), and was nominated by TYLA as one of the two President-Elect candidates for the organization in 2015. After losing the Presidential race by a thin margin, John was elected Chair-Elect of the board for the 2016-2017 State Bar year and took over as Chairman of the TYLA Board of Directors for the 2017-2018 State Bar year. Access to Justice is something that John is passionate about. He firmly believes that everyone, regardless of their financial condition, should be able to turn to the American Jury System – the best legal system in the world – to address their grievances and right wrongs that have been done to them. In that regard, John currently serves as Chairman of the Board of Directors of a non-profit law firm based out of Austin called Texas Legal Services Center (TLSC). TLSC provides assistance and training to poverty law advocates and their clients in the areas of litigation support, education, and communication. John is also a former board member of The Ladder Alliance, a non-profit organization that provides women victims of domestic violence with the tools to lead self-reliant, independent, and successful lives through education and training. John grew up in Lubbock and San Antonio, but has called Fort Worth home for more than ten years now. He and his wife, Kelsey, are the proud parents of two amazing little boys.